I have some questions which is why its not done - yet. 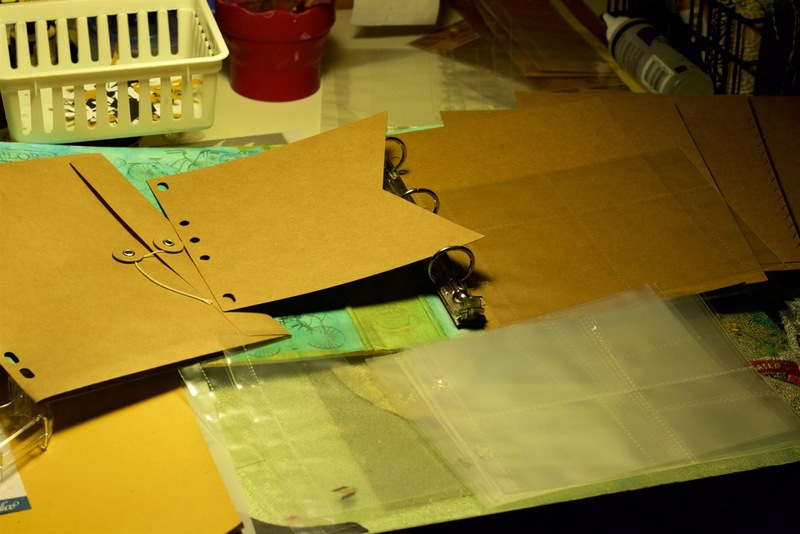 This is the BG chipboard album that I had forEVER. The size is 8.5 x 9.5 perfect for traveling actually. 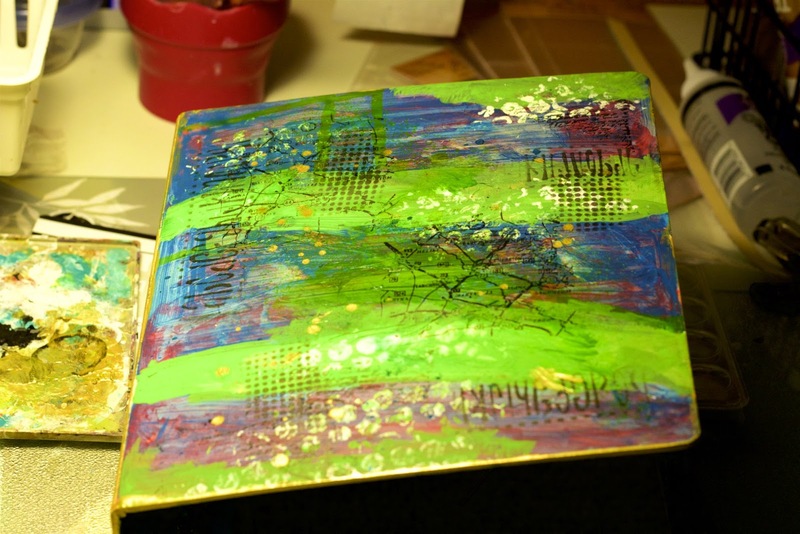 mostly because I could - I used Studio Calico color theory. so I covered it up with blue and green. Found various stamps and bubblewrap to add more fun and depth. perfect for the inside covers. I used watercolors on the inside - just to mute the stamps a bit. Inka gold to round it out. And then there are these kraft pages & envelope. which is why we are here - and why I'm dithering about. 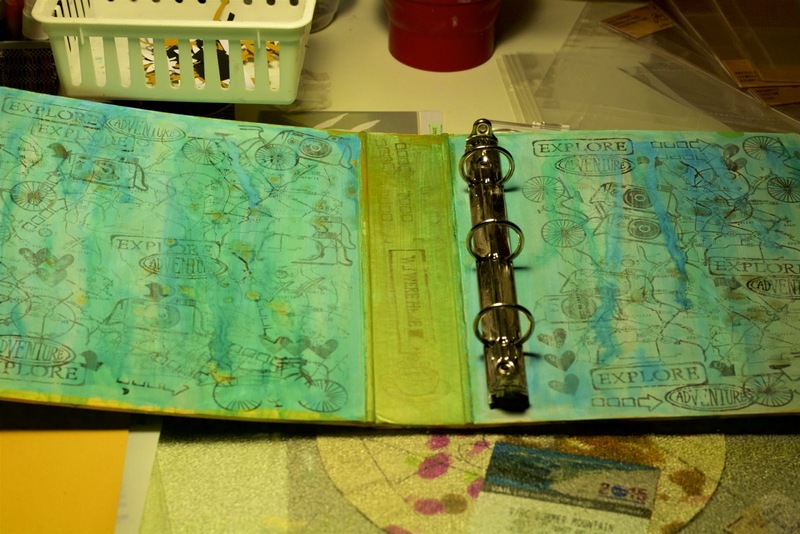 I can't decide if I want to do those kraft pages now or on the trip as I go. too for more photos and cards. Also with the selphy printer the largest size photo is 4x6. Then there's the journaling and how windy will I be. This is also going to be a short trip. Therefore, if I do the pages early - how will that affect things on the road. And if I wait, how will minimal supplies affect it. Since I have no clue about scrapping, I can't help but look forward to reading about the trip!